Get One Step Ahead in the Audition Race! 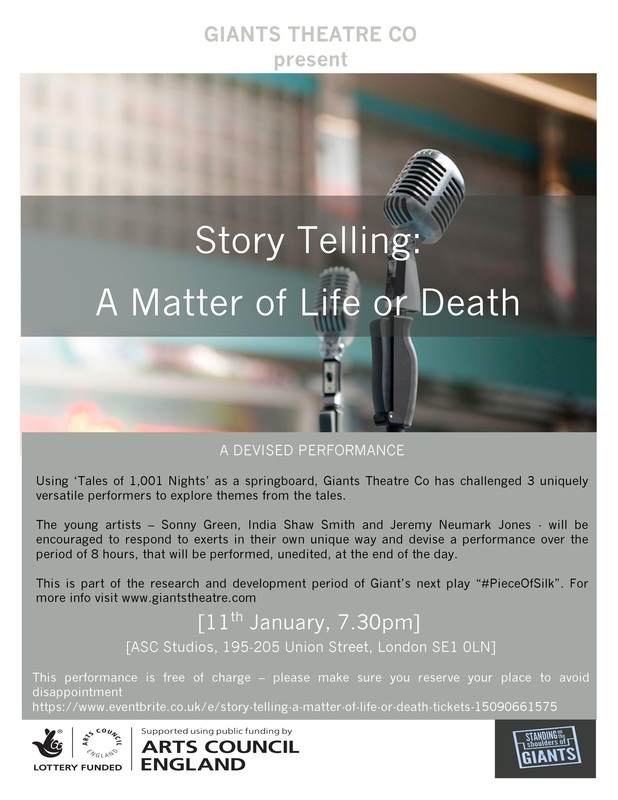 As part of our research and development period for ‘Piece of Silk‘, the new play by Giants’s Artistic Director, Jennie Buckman, on the 11th January 2015 we’ll be working on a devised performance on story telling as a matter of life and death. 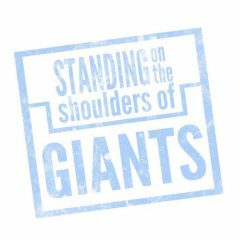 In the day, Giants will be working with 3 performers and 3 workshop leaders using the classic stories from ‘Tales From 1,001 Nights’ as a starting point to explore the contemporary parallels of the book’s themes. Then later that evening, we’ll be presenting our exploration to a small but valuable audience. Your feedback is incredibly important for the next steps of this project so please join us on the 11th February and become a part of what is shaping up to be a remarkable journey. To book your FREE ticket, please click here. We have limited availability so please book in good time to avoid disappointment. And while you’re here, why not subscribe to our blog and be the first to know what opportunities we’re offering?